Ashanti International is targeting the market of personal security positioning the company to be the preferred choice of wearable security technology. The Company intends to launch an innovative proprietary personal security system that allows a person to see behind them, the Porcupine Series 1. The Company’s products include The RetroView Personal Security Watch (PSW), The RetroView Personal Security Camera (PSC) or (My Extra Eye) and The RetroView Personal Security Viewing Screen. Ashanti products will change the way people operate, providing a sense of confidence Building upon management with a unique vision and strong foundation. Ashanti International Corp. expects to seize valuable market share while simultaneously impacting the personal security and wearable tech industries through quality of products, innovative design, over all affordability and novelty. The Company fills the gap in a large subsector of tech accessories by providing piece of mind to consumers. The My Extra Eye is a sleek wearable camera that is worn on the back of ones shirt. This innovative wearable camera is made for discrete use to keep the wearer safe in unpredictable situations. 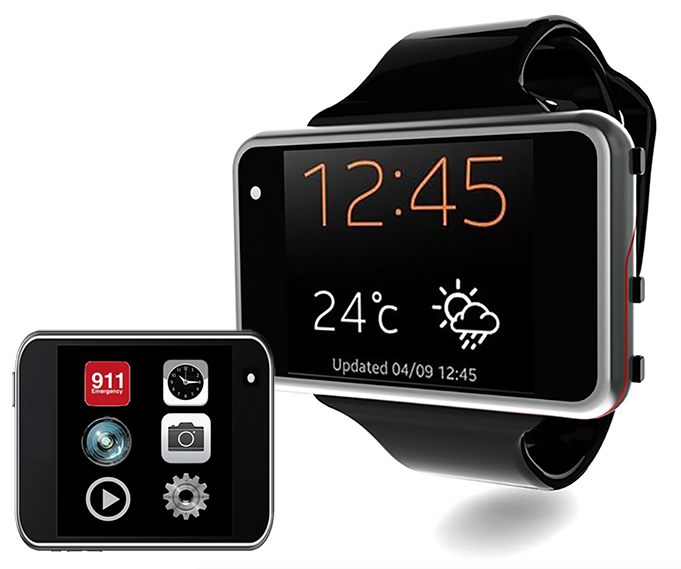 The camera connects to the Personal Security Watch (PSW) or the wears android, or iphone. The Personal Security Watch is a sophisticated and well-designed watch with built-in camera with RetroView technology, a Global Positioning System and Bluetooth. When lifting the arm slightly the watch face turns to a RetroView camera which allows the user to see behind them without completely turning around. ● Bluetooth streaming to iOS app and more…. This pioneering product allows for the public, military and police, and health care professionals to have the ability to watch their back in situations that may normally pose danger. Currently there is nothing like this in the market. The Most Powerful Technologies for Personal Security. The Personal Security Watch is an sophisticated and well-designed watch with built-in camera with RetroView technology, a Global Positioning System and Bluetooth. When lifting the arm slightly the watch face turns to a RetroView camera which allows the user to see behind them without completely turning around. 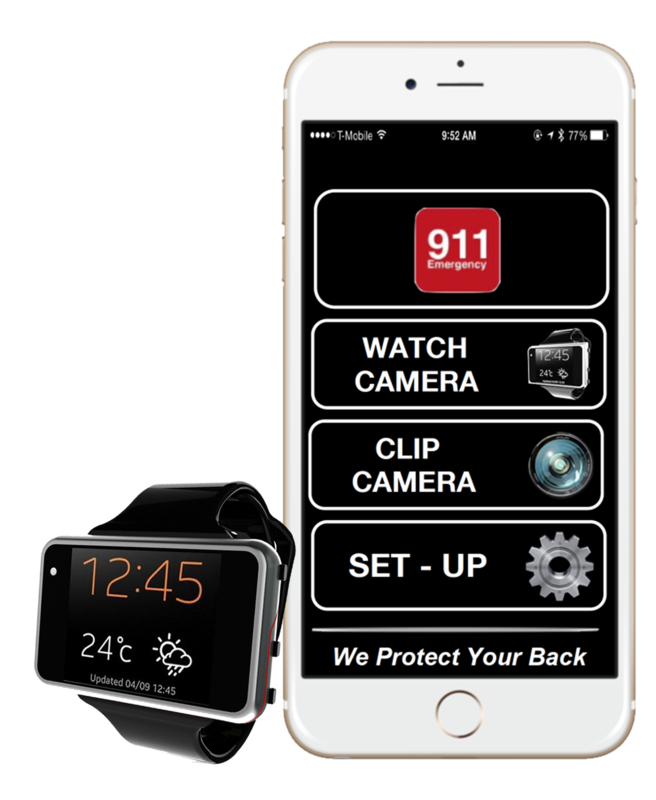 The watch also allows for rear facing pictures to be captured, videos to be recorded and for the wearer to dial 911 or other emergency contacts on command. Personal security on your wrist. Anytime. Anywhere. Many tools and features to keep you safe and secure. Notify authorities & loved ones quickly and easily. You’re in control of your settings at all times. Sync your watch with your iPhone or Android at all times. Camera recordings of your surroundings at all times. For the first time in history, you’re in control of your personal safety. Join our mailing list to get exclusive access to pre-orders. Dr. Samuel Akuoku MD, MBA is the founder and Chief Executive officer of Ashanti International Corporation (AIC). Over the last Twenty-Five (25) years, Dr. Akuoku has ran one of the most successful medical practices in the state of New York. In his transition to retirement from medicine, Dr. Akuoku plans to devote One Hundred Percent (100%) of all continued efforts to bringing Ashanti International to fruition. Targeting the personal security industry, Dr. Akuoku plans to use his Master’s in Business Administration and years of professional experience in running a successful medical practice to aid in this new venture. Blue Moon Advisors is an internal and external, exclusive, qualified network of business finance experts that collaborate on a focused effort to effectuate fund readiness. We provide the framework for all corporate strategy. Coaction Consulting helps businesses, entrepreneur, and inventors create the products or services that make their firms successful. We have helped clients release over 50 unique products into the market. Enhance Product Development has the creative vision and know how that makes the difference. Our extensive background and capabilities creates an environment where products flourish and achieve their potential. LJCL Group is an interactive web design and marketing agency that delivers significant impact to our clients. Our creative and tech-savvy specialists plan, execute and manage all your digital marketing needs globally. You can join our mailing list to get more information about the Personal Security Watch. This amazing product will soon be release into the U.S market. Please put your name on the list to get updates, exclusive news and more!.